Glamour with an urban edge. 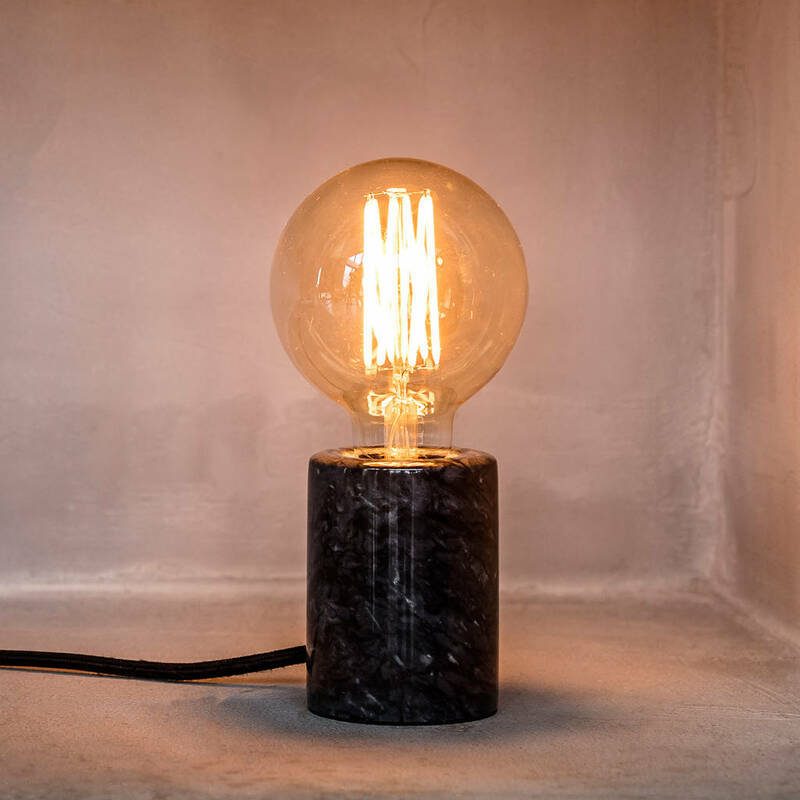 The contrast of the industrial base with the glow of the amber bulb makes this the perfect contemporary accessory. It’s the ideal bedside or desk lamp for any trend-led interior. 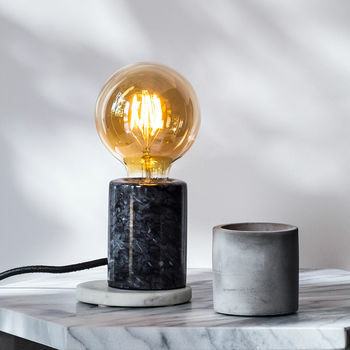 The traditional blown glass bulb in a retro amber shade is included with the marble base. 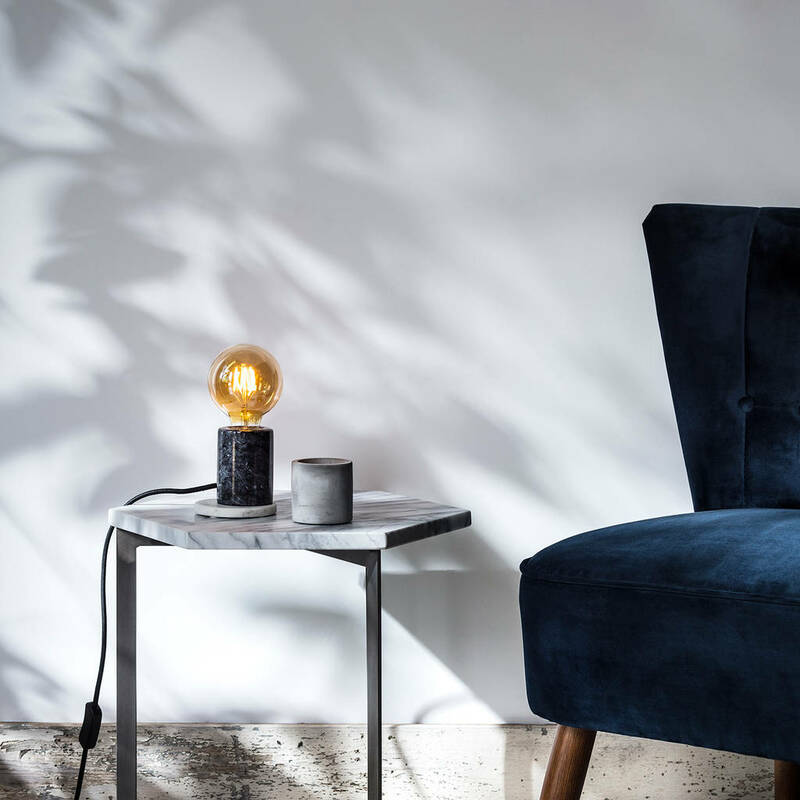 The base has an E27 fitting and features a 1.25m black fabric cable to the plug with an inline switch for ultimate convenience. As marble is a natural material, there may be some variation between products, but we think this just adds to the charm!